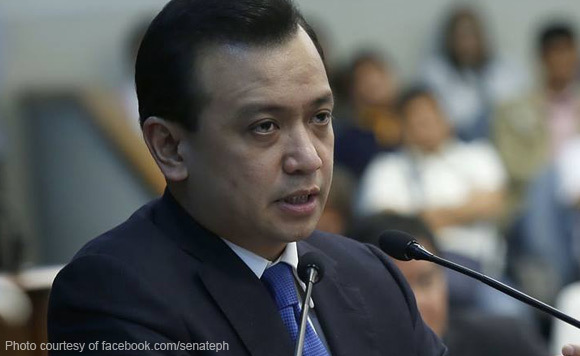 Naglahad na ng pormal nitong pahayag sa isang Facebook post si Senator Antonio Trillanes IV ukol sa pagkakasangkot nito sa inaagawang Scarborough Shoal sa ilalim ng administrasyong Aquino. Ito ay matapos na banggitin ni Foreign Affairs Secretary Alan Peter Cayetano sa naging ‘open letter’ nito kay dating Pangulong Nonoy Aquino sa gitna ng nangyaring ‘Word War’ ng dalawa nito lamang nakaraang linggo. Sa naging liham nito, tatlong beses nabanggit ng kalihim si Trillanes kaugnay sa ginawang ‘backchanelling negotiation’ nito sa bansang Tsina na mismong utos ng dating Pangulong Aquino. 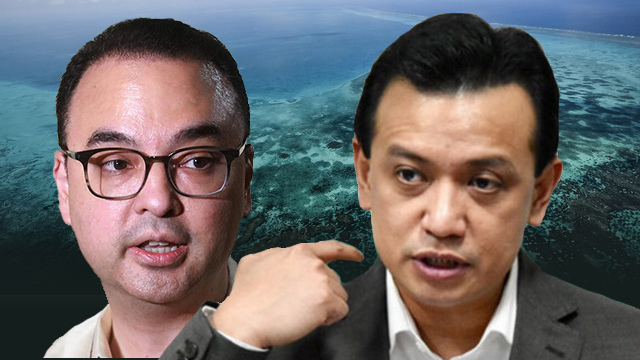 Sa pahayag na ito, tinawag ni Trillanes si Cayetano bilang AHAS o ‘political snake’ sa kadahilanang WALA naman di – umanong nakitang MASAMA ang kalihim sa LAHAT ng ginawa ni Trillanes para ipagtanggol ang Panatag Shoal na pilit namang angkinin ng mga intsik sa ilalim ng pamumuno ng dating Pangulong Aquino. Nilinaw pa nito na ang Panatag Shoal ay nasa Zambales at hindi kabilang sa Kalayaan group of Islands sa bandang Palawan. Iginiit pa nito na sa loob ng tatlong (3) buwan na negosasyon nito sa Tsina, wala din umanong pagtututol na pinakita si Cayetano hangga’t sa maipanalo na nga ng bansa ang Arbitration Case laban sa bansang Tsina nang tumanggi itong i-atras ang nananatiling tatlong barko nito sa naturang lugar. 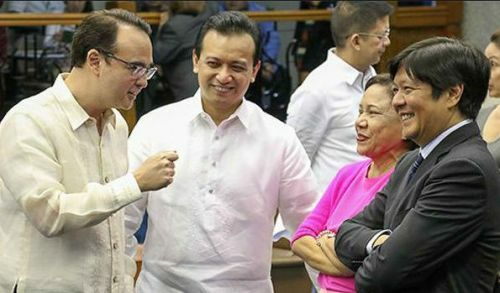 Tanong ni Trillanes kay Cayetano na pinaaabot din kay Pangulong Rodrigo Duterte, "Why didn't you follow through on our historic victory at the arbitrarion court?" Or better yet: "Why aren't you fighting for our sovereignty the way you promised during the campaign?" “Sec. Cayetano has proven to be a political snake. The Panatag standoff happened in 2012 during which time Cayetano was still a loyal ally of the Aquino administration, so obviously, he never saw anything wrong with how PNoy resolved it then. As to my Senate exchange with Enrile, Cayetano even defended me that time since he was my Minority leader back then. In fact, I clearly remember telling him, as well as the other senators then, of the gist of my mission as backchannel negotiator. For that matter, I had multiple media interviews about it but, again, Cayetano never saw anything wrong with it then. But for the benefit of those pretending to be blind and deaf, like Cayetano, for the nth time I will repeat the facts behind my role as backchannel negotiator. I was officially designated as the backchannel negotiator by President Aquino in May 2012 at the height of the Panatag standoff, wherein about 80 to 100 Chinese vessels of various sizes were in and around the shoal. (Just to be clear, Panatag shoal is in Zambales area and is not part of the Kalayaan Island Group in Palawan.) My mission, generally, was to deescalate the tension in the shoal. Specifically, it entailed the reduction of the number of Chinese ships in the area. The issue of sovereignty was not covered and was never discussed. The negotiations lasted for about 3 months, at the end of which we were able to reduce the number of Chinese ships in the area to just 3, all of which were positioned outside the shoal. In short, I was able to accomplish my mission. The refusal of China to remove the remaining 3 ships forced the hand of PNoy to file the arbitration case, which we eventually won. Those are the facts and circumstances about this issue and I will not allow Cayetano to twist them. Now the question to Cayetano and his boss, Duterte, is this: "Why didn't you follow through on our historic victory at the arbitrarion court?" Or better yet: "Why aren't you fighting for our sovereignty the way you promised during the campaign?"